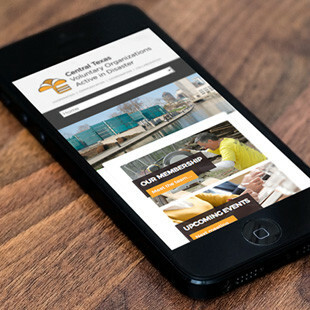 In early 2013, Raritet decided it was time to expand its business by creating a powerful online presence, a robust website built around the business and boasting an industry-leading ecommerce platform. 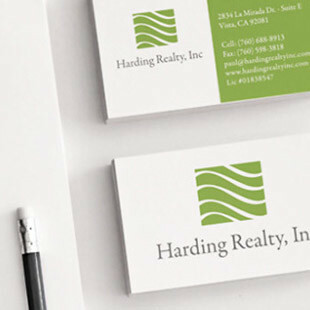 Enter HMG Creative. 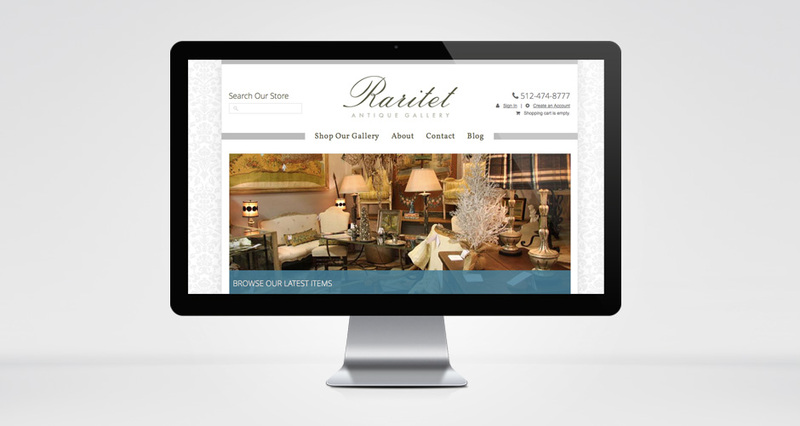 After our initial meeting with Raritet, we recommended a complete web revamp based on the company’s branding and geared towards the antique aficionados the company tailors to. In addition, we found that Raritet’s clients had been asking for an online platform where they could browse and purchase collectables. Not only was this a good opportunity for Raritet to spruce up its online presence but also to create an ecommerce portal to meet this demand. 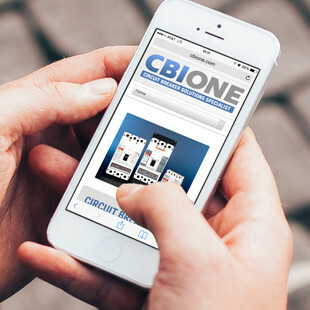 We built the Raritet website on one of the most stable and intuitive all-in-one ecommerce solutions around, our very own Umbrella by Adobe Business Catalyst. Not only does Umbrella provide a robust ecommerce solution for Raritet, it also gives the company access to an integrated CRM tool for easy customer management and tracking. In addition to its local clientele, Raritet has found itself serving antique collectors from across the world who have discovered Raritet’s extraordinary items via the new website. Pair this new avenue of growth with the company’s knack for stellar customer service and you have a recipe for a business that will live long into the future. 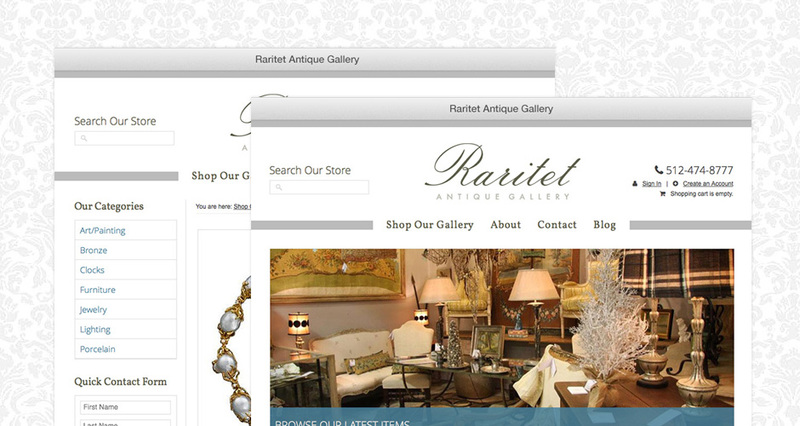 And we couldn’t be happier for the team at Raritet Antique Gallery. So what are you waiting for? Take a look at Raritet’s online gallery today and discover your inner antique aficionado! One of Austin’s most prominent and exclusive antique dealers, Raritet Antique Gallery offers its clients a unique collection of rare items from the most historic parts of Europe. Over the last decade, Raritet has solidified its presence in the Austin market by offering premier items in its first-class downtown gallery.